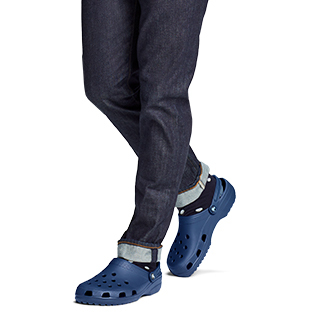 Work smarter and stay comfortable with chef shoes from Crocs. These shoes are perfect for working in restaurant and kitchen environments. 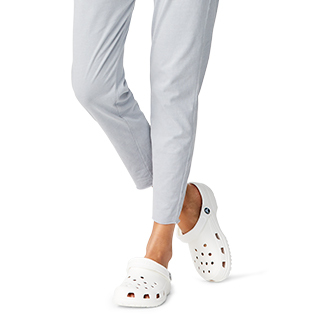 Work smarter and in comfort with chef shoes from Crocs. Our kitchen shoes are designed to lessen the stress of long working days by relieving pressure on your feet, legs and back. These shoes are perfect for working in restaurant and kitchen environments. Chef shoes aren’t just for cooks and culinary experts. They are comfortable, ergonomic, and made for food service, hospitality, and health care workers too. Waiters and waitresses, bartenders and baristas agree, Crocs kitchen shoes give you all you need in an on-the-job shoe. Built with lightweight Croslite™ material for a comfy fit that forms to the foot, easy to clean, and odor-resistant, these quality clogs are good inside the kitchen or out. Looking for slip-resistant shoes? 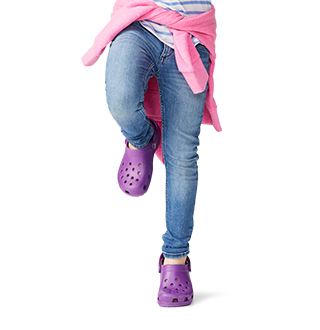 Crocs comfortable chef feature Crocs Lock™ tread for slip-resistance that exceeds industry standards. purchased for my brother...he is loving them. 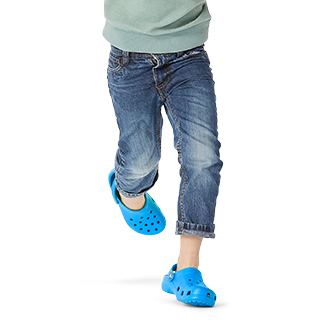 Great Croc Clog very comfy!! PLEASE PLEASE BRING BACK MORE COLORS! I live in these shoes in summer. Comfort galore, get them wet all you want, wash up easily, nice enough for work. Got me thru strained achilles and stomping all around London. Those complaining about size, they are easily custom sizeable, just toss in warm dryer for 2 minutes, put on, walk around and boom, custom fit. I've had a platinum pair for 8 years and still going strong but I need new navy pair. BRING BACK MORE COLORS! Shoes are great. Comfortable to ware and the camo paint scheme is awesome. Fast shipping. Good product I just find Bistro's more comfortable. I normally wear Bistro. I like the roomy fit. This is a little tighter. I give anesthesia for a living, have for almost two decades. The OR/hospital can be a very wet place for a variety of reasons, mainly between cases when the floor is mopped. I am now on my third pair and they have never once slipped in any kind of wetness. All day (or night) comfortable. If you work in any place that has a wet floor this is the shoe you want.